Restore your wooden floors yourself! Nowadays, with Finitec’s products, restoring a wooden floor can easily be completed in no time! No need to contract a renovation expert team, you can do it yourself quickly, with products that produce no unpleasant odour! There’s no need in leaving your residence during the work since the products are not harmful for your health. The finishes can also be applied with a roller and the furniture can be replaced in as quickly as 24 hours after the work completion! Finitec finishes adhere to any type of surface. Whether your flooring has an oil or waterborne finish, you can apply the Finitec finishes on top of it without any sanding. The dust quantity is therefore greatly reduced. Its permanent solution, lasting up to 10 years, can be applied on wooden floors or staircases that are not raw sanded. All the Finitec finishes are conceived to be applied the same way. 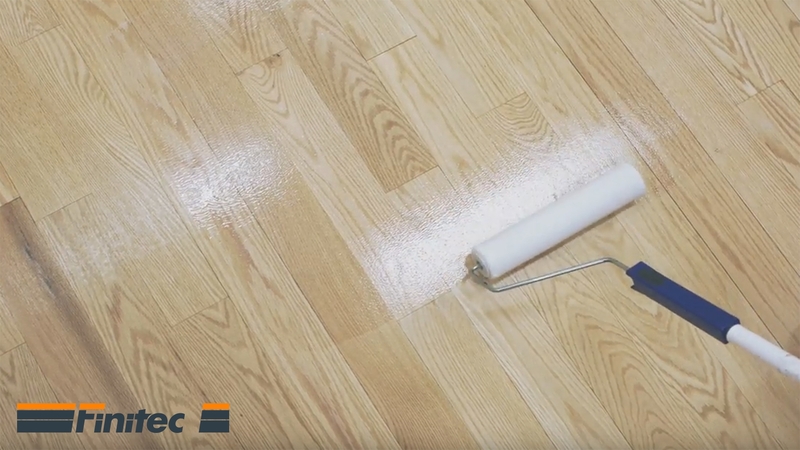 Whether you choose the Finitec 3000, 6000 or 9000, you have to follow the same restoration procedure in order to make sure your floors will look like they were restored by a professional team. Clean your floor with the Finitec Surface Preparation to remove all the accumulated residues and grease. This product is easy and ready-to-use. Odorless, it works in as quickly as 5 minutes. Replace your furniture in the newly restored room 24 hours after finishing your project. There you go! In only few hours, you’ll have restored your flooring simply, quickly and at a lower cost! Many still believe restoring their floors is a long, difficult and expensive process. After using the Finitec finishes that are detailed at only $0.50/ft2, your surface will look like it was restored by a professional team and you’ll make people envious of your work! To learn more about the complete Finitec finishing line, visit this page.